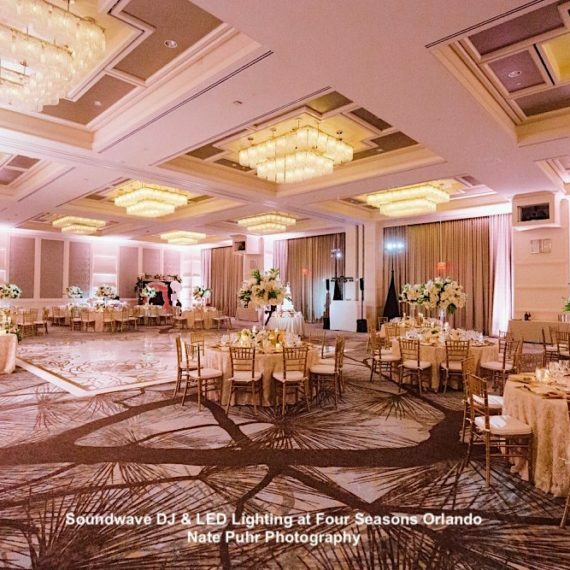 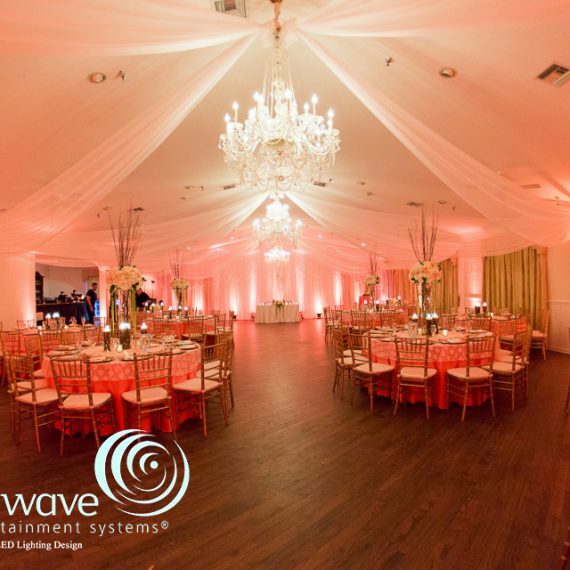 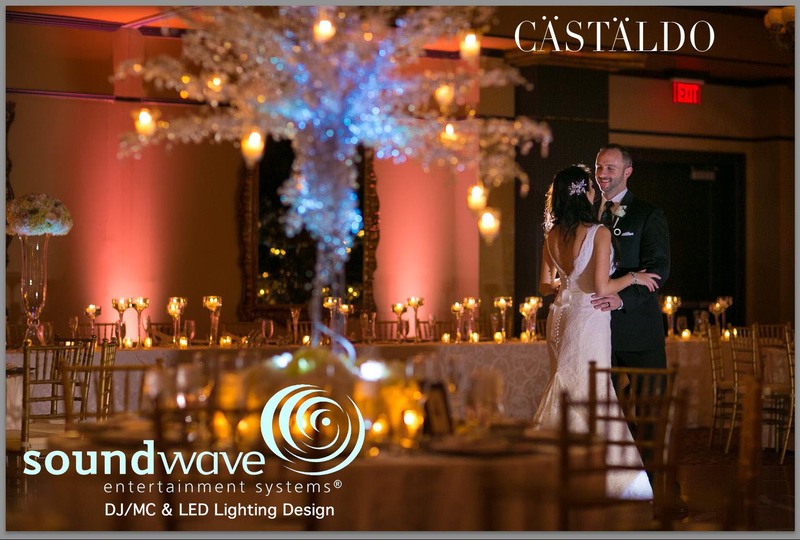 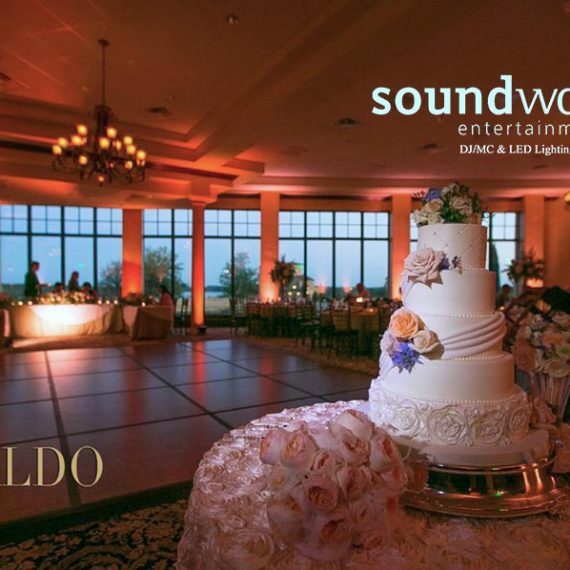 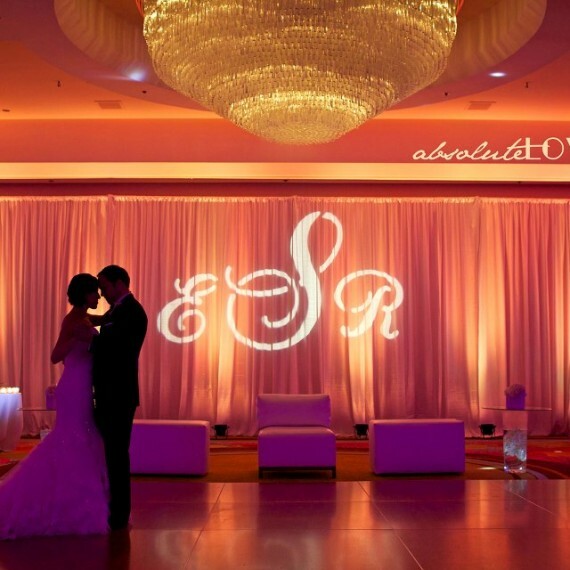 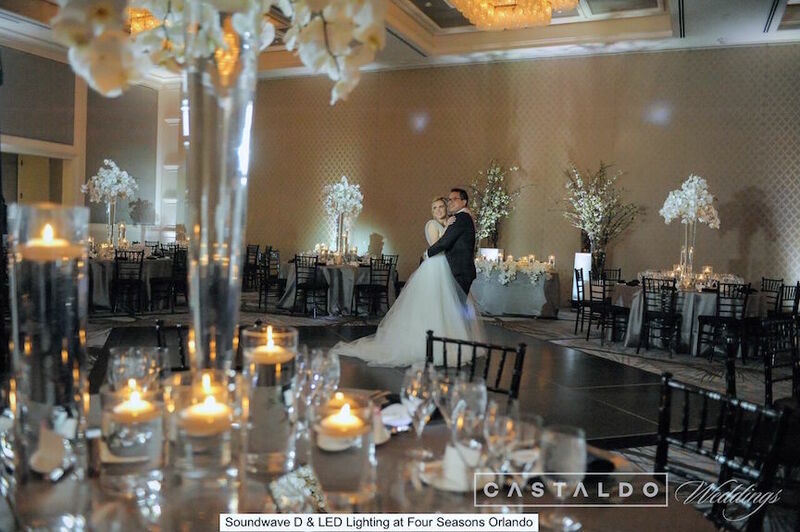 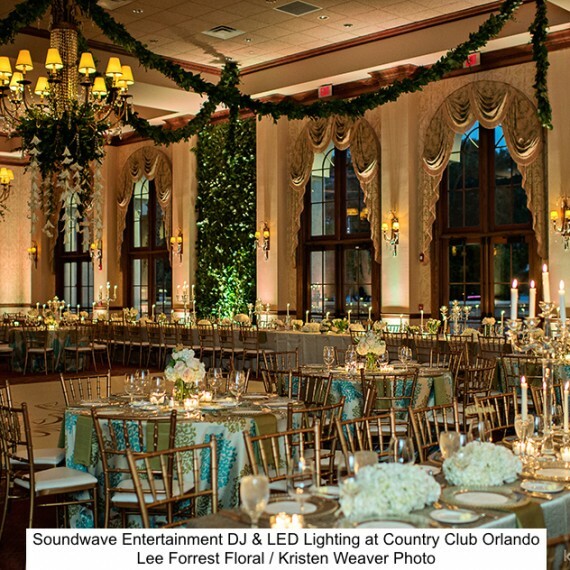 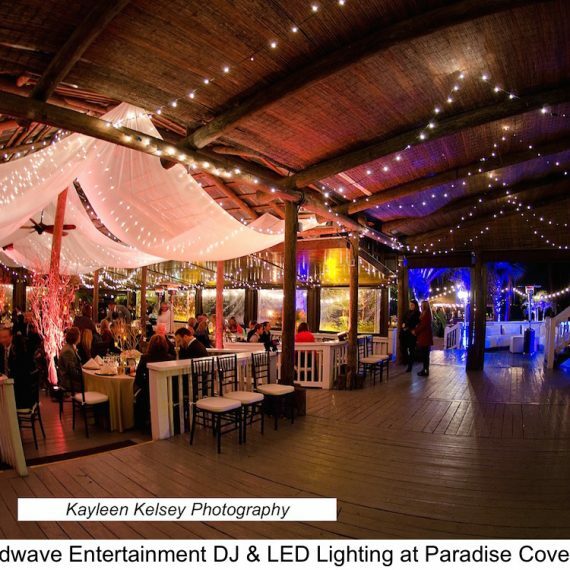 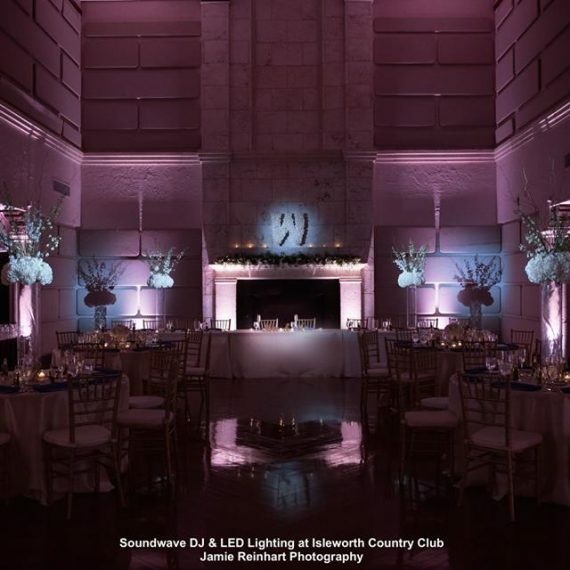 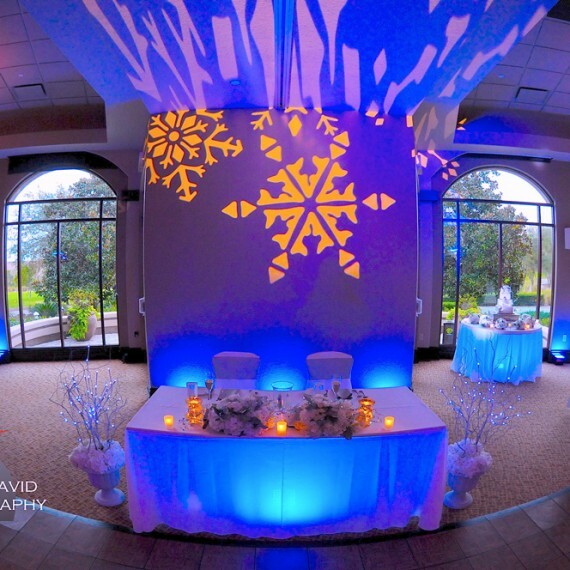 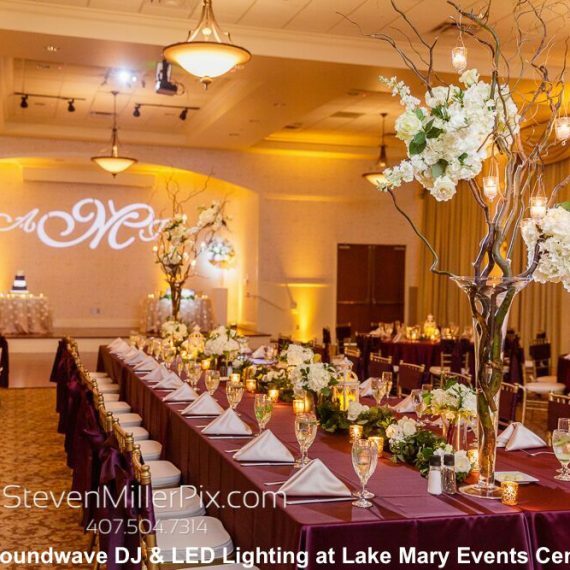 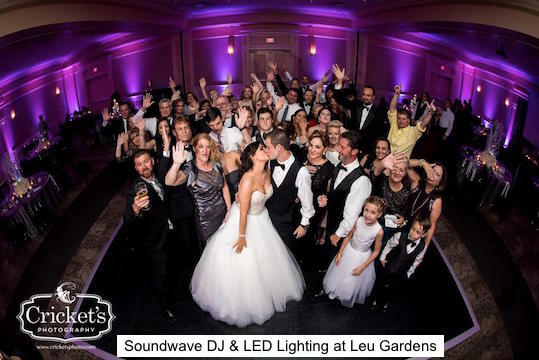 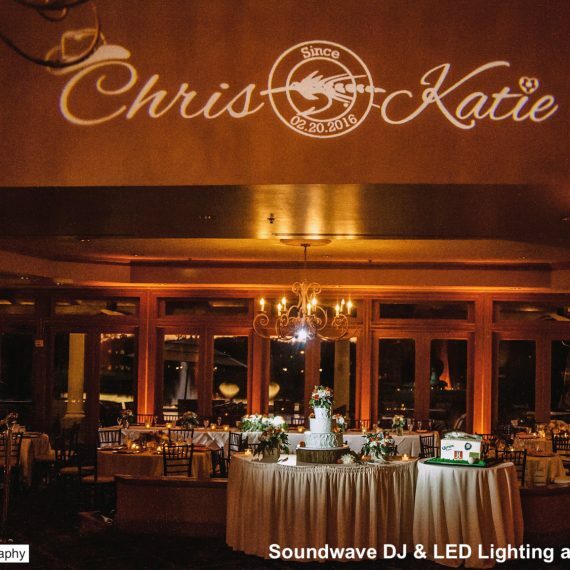 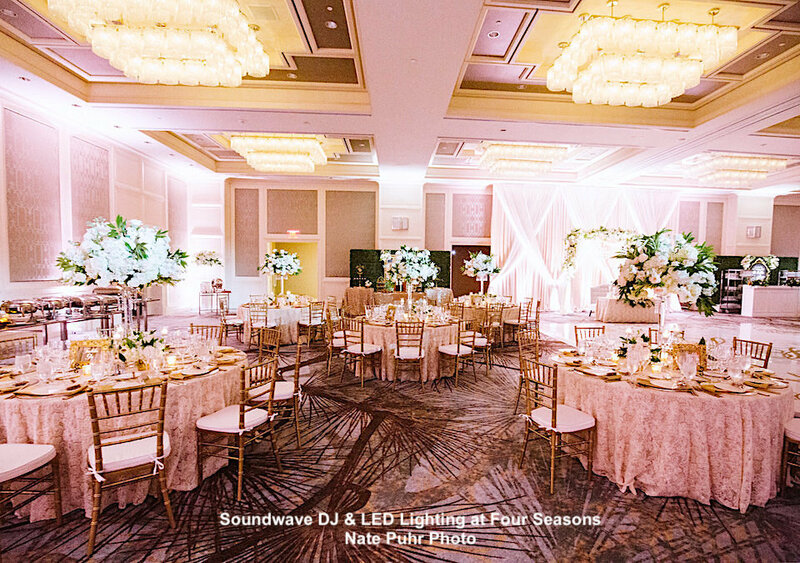 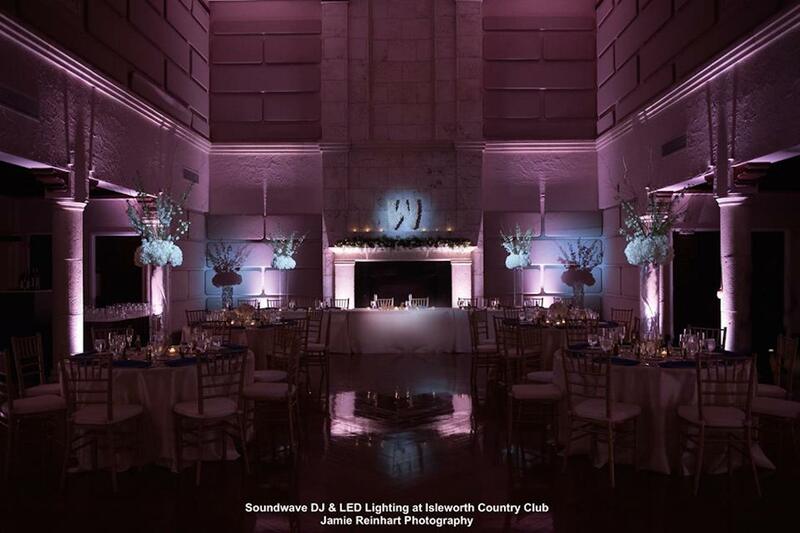 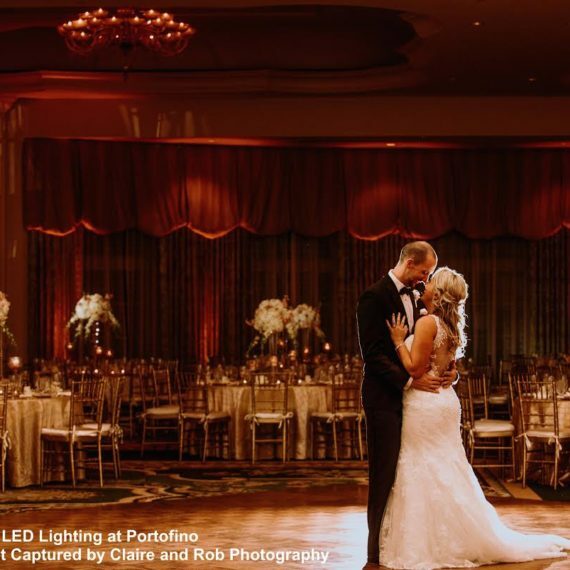 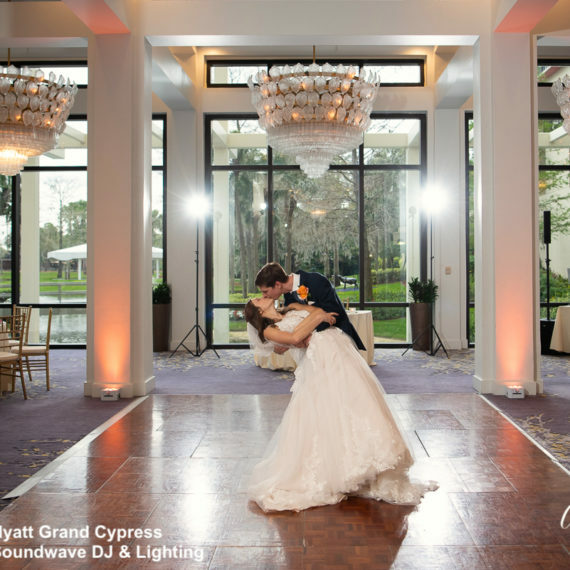 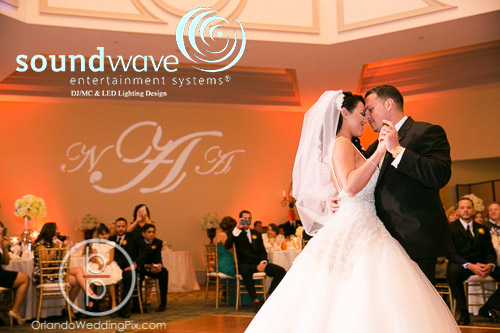 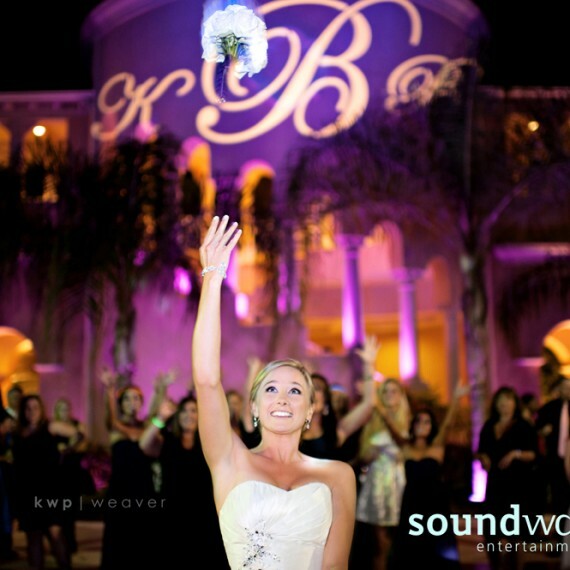 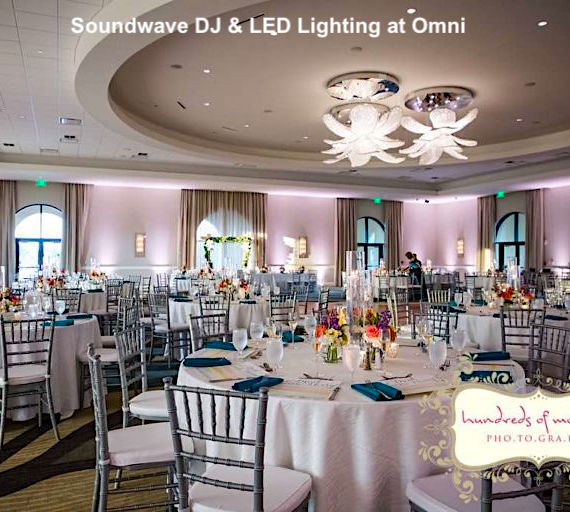 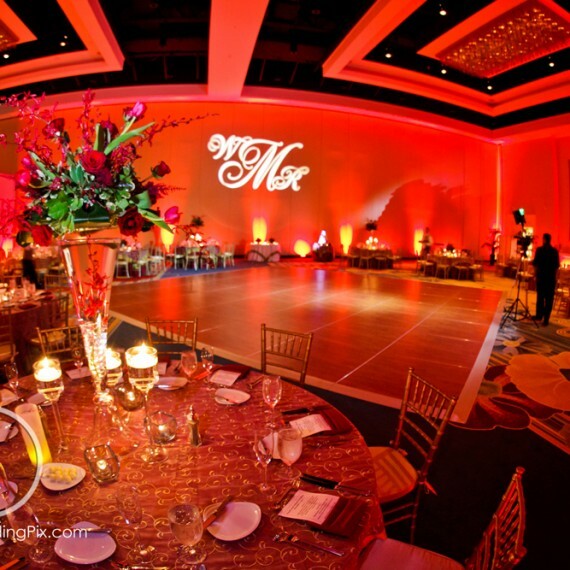 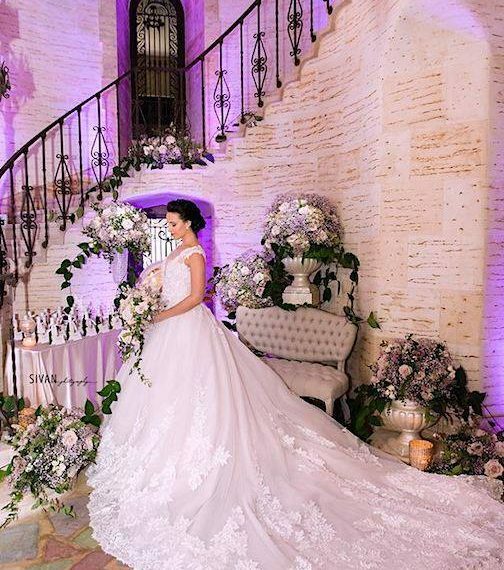 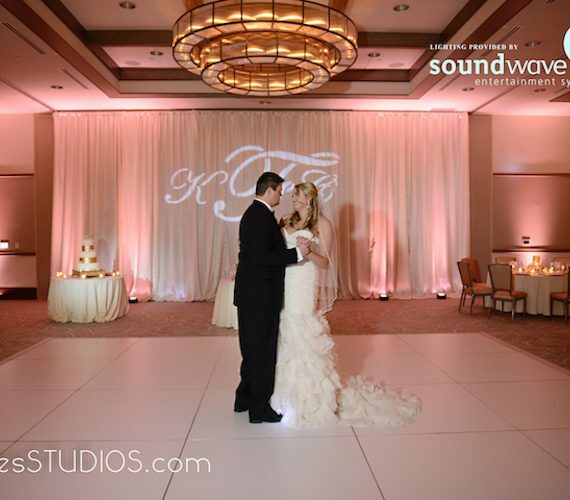 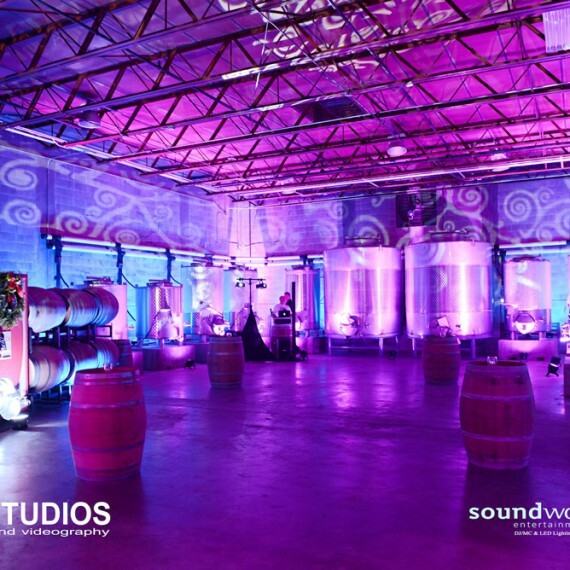 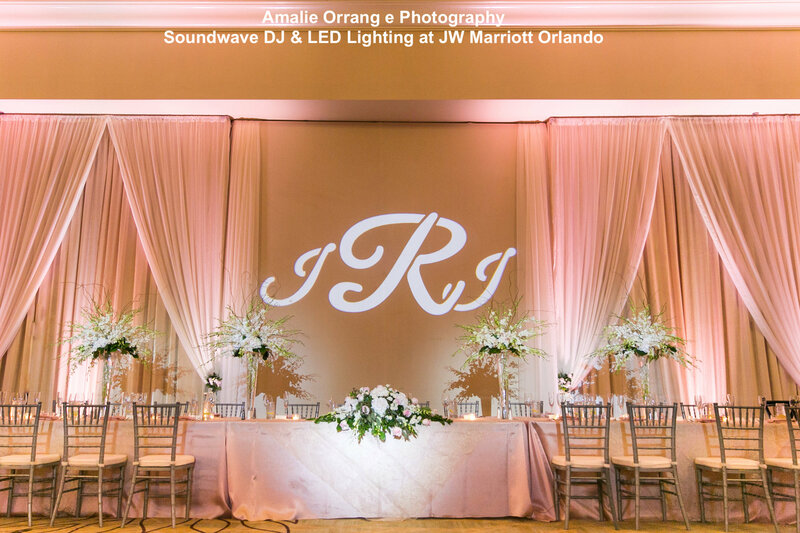 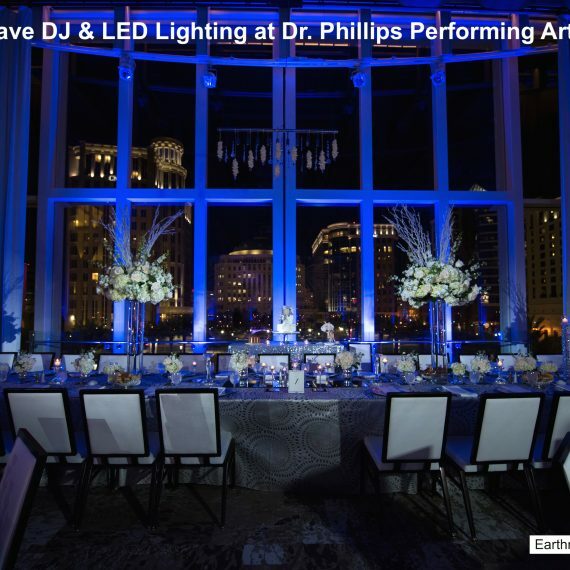 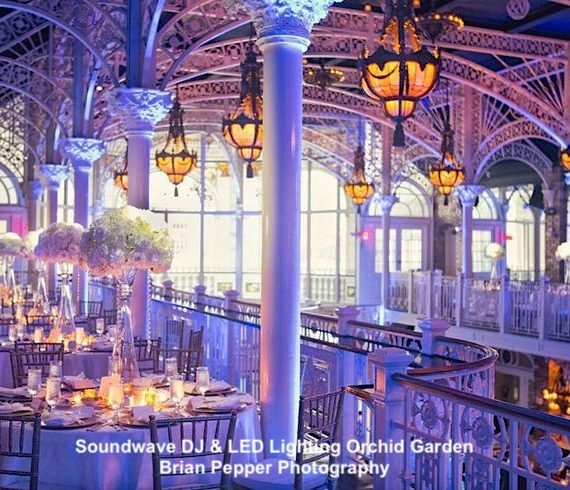 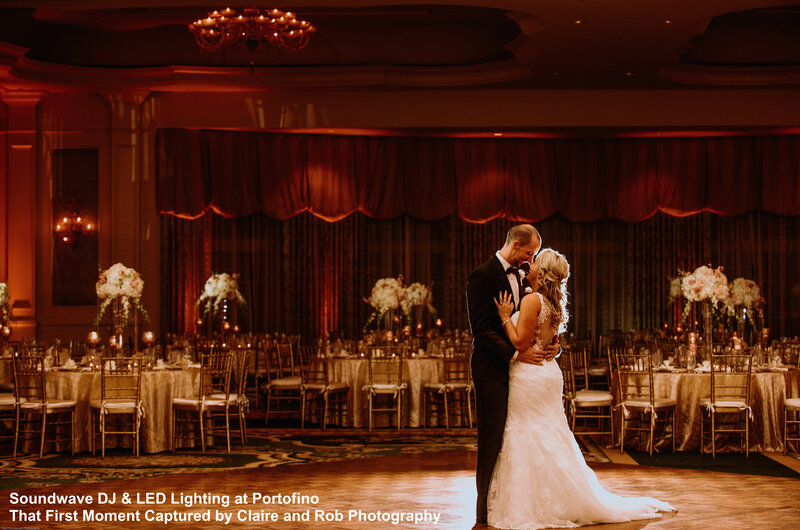 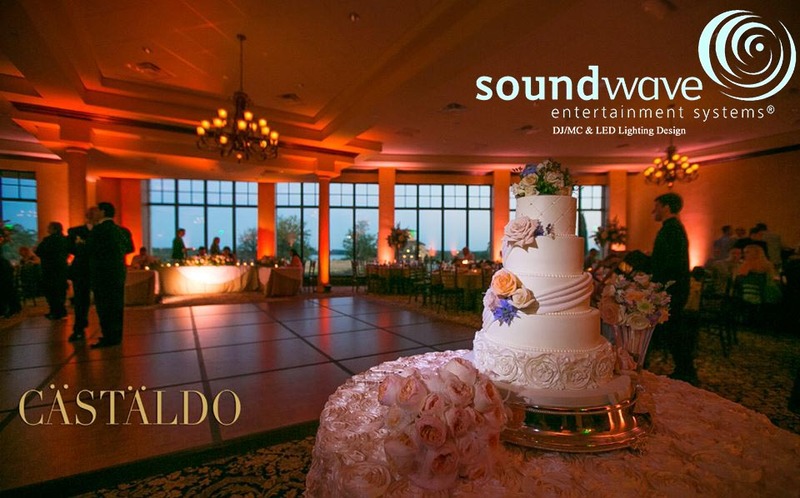 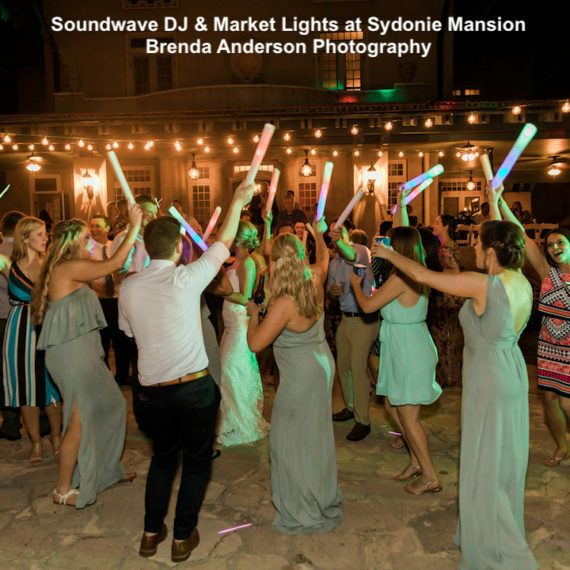 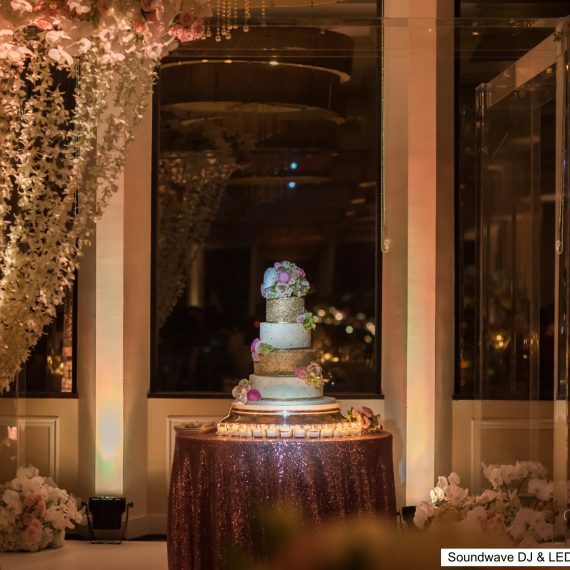 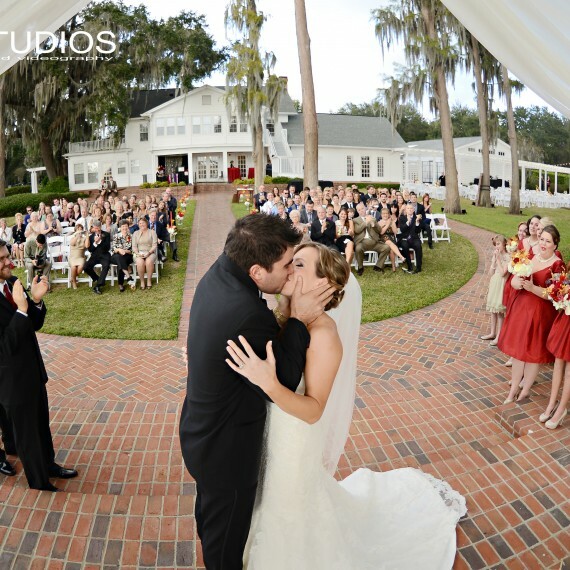 Soundwave Entertainment is one of Orlando’s leading Wedding Lighting companies offering state-of-art LED technology and design services. 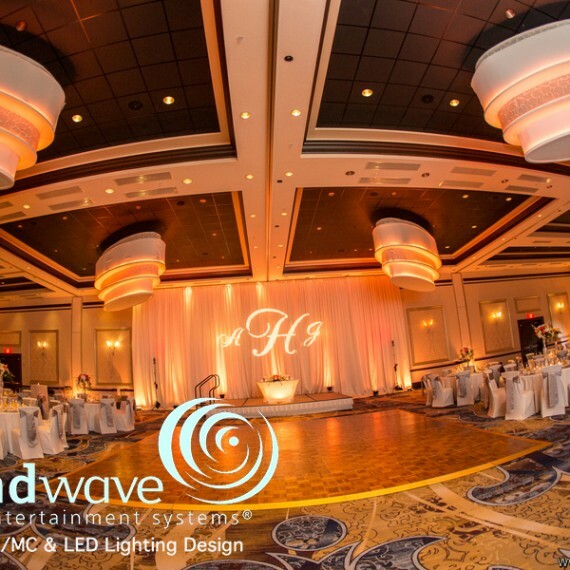 We also provide Lighting Design for corporate and convention events for up to 2000 attendees. 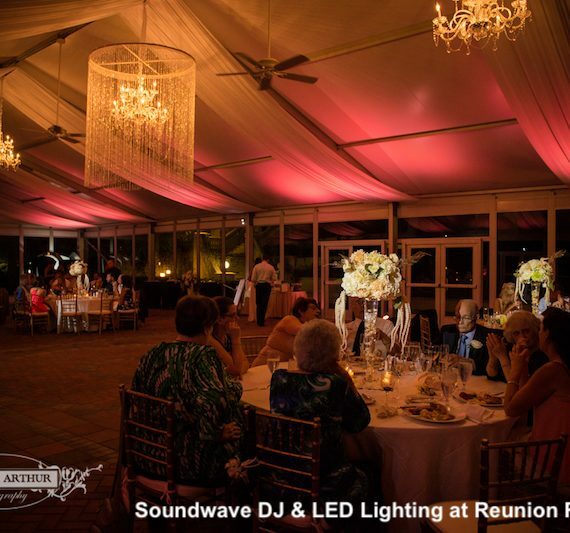 Soundwave Wall Uplighting is wireless and battery operated (LED technology of course). 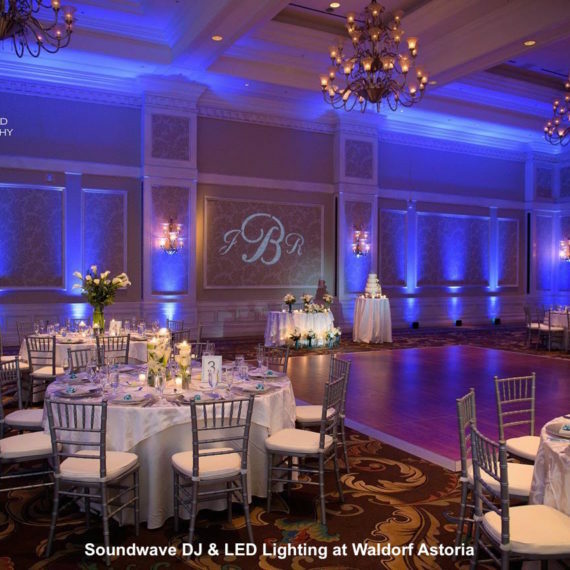 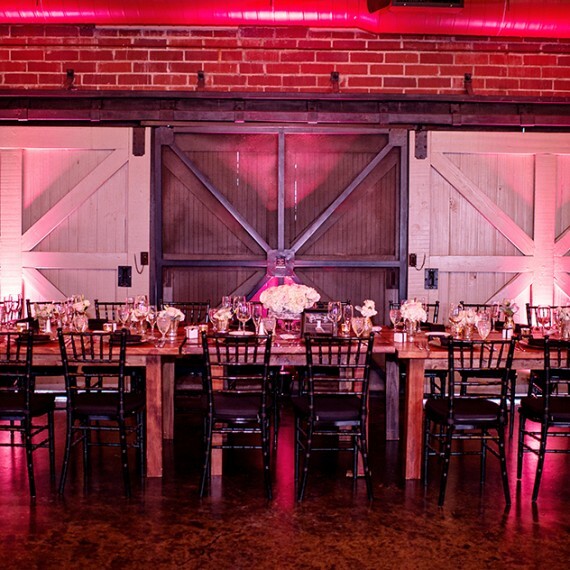 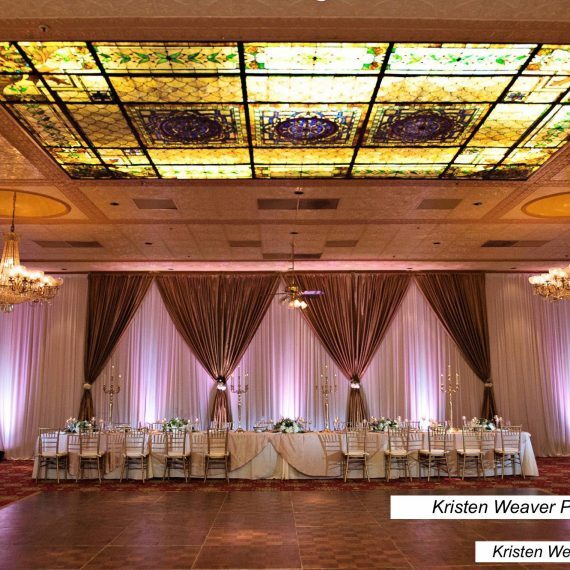 Our Wall Uplighting provides endless color options, from soft tones, to varying shades of white and jewel tones. 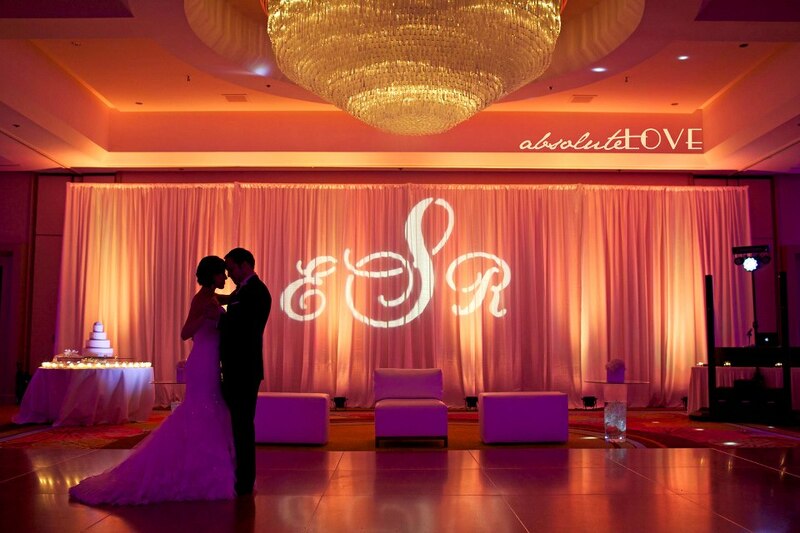 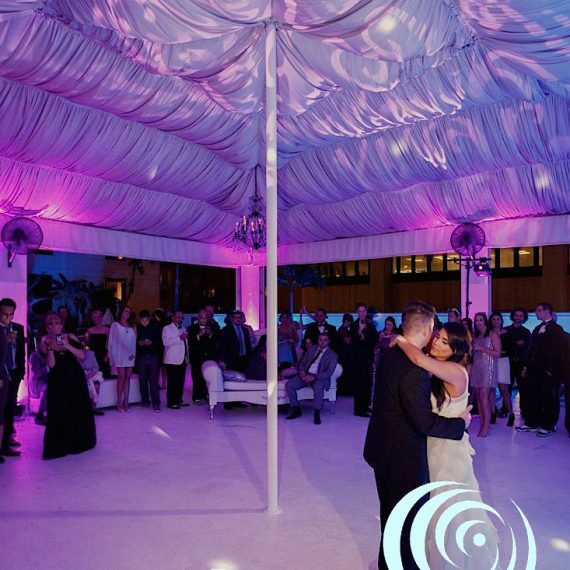 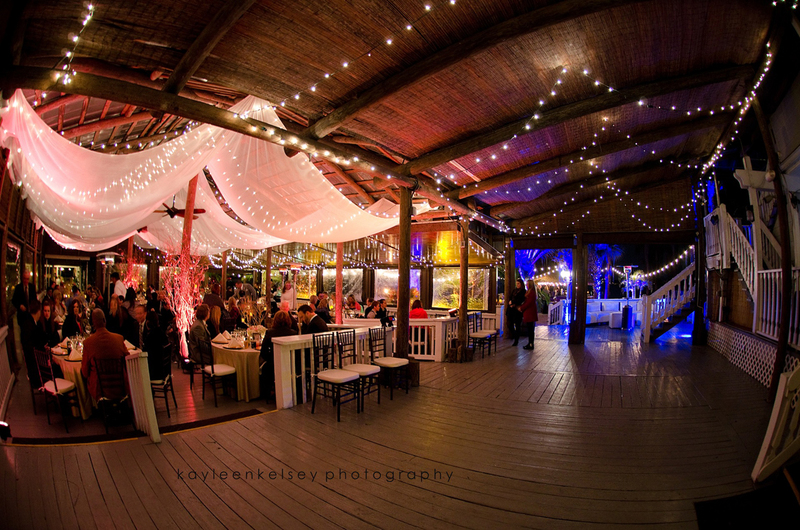 We also offer Waterproof Uplighting for outdoor weddings and events. 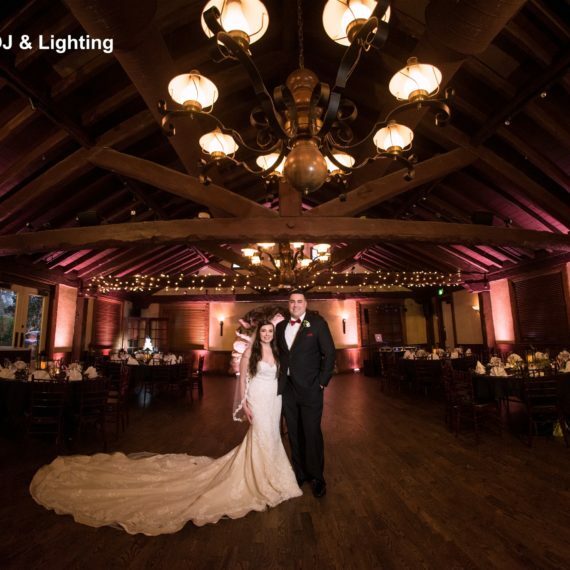 Pinspotting is very dramatic. 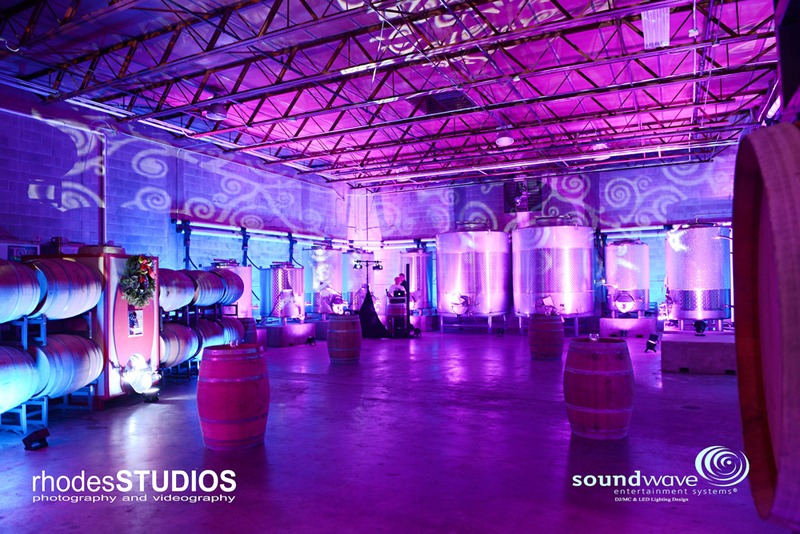 Soundwave Pinspots are attached magnetically to the ceiling or positioned on t-bars. 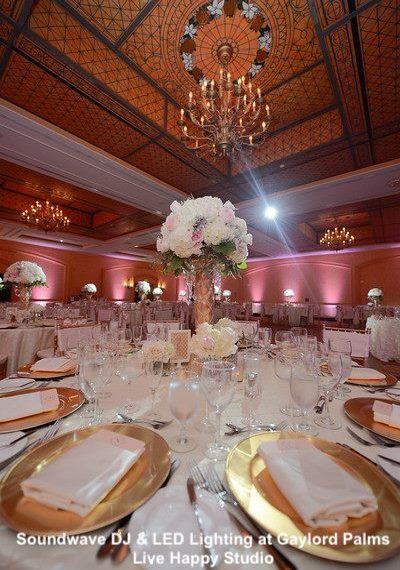 Pinspots are aimed at Centerpieces to illuminate their beauty. 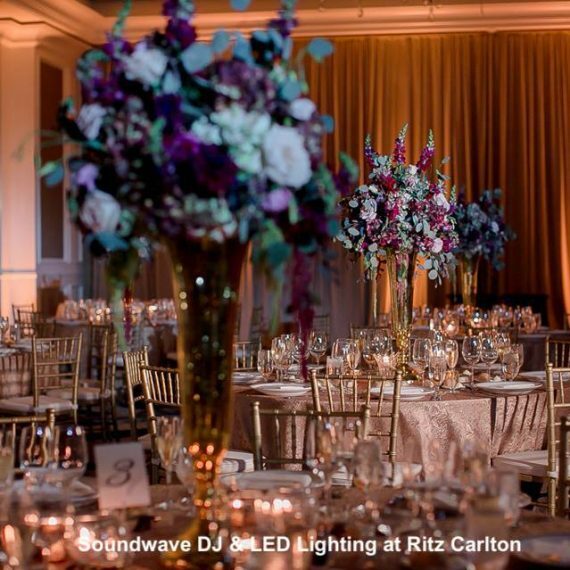 You spend thousands of dollars on centerpieces, but without Pinspotting, your floral will go un-noticed! 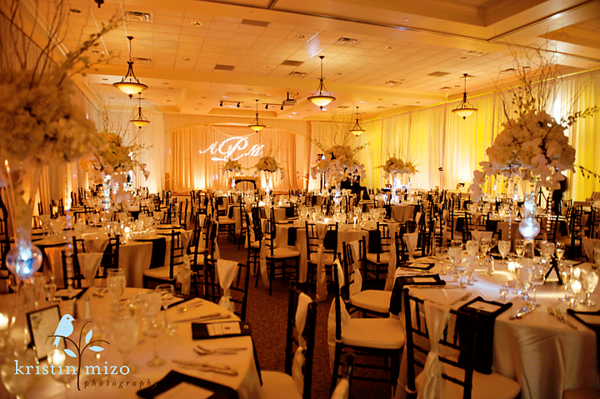 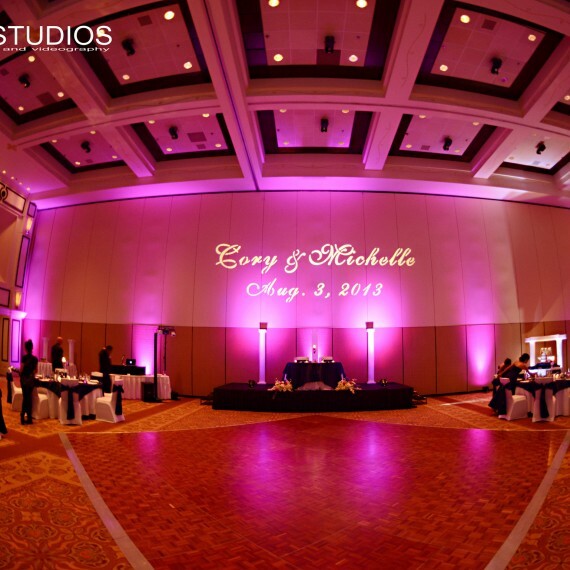 We also use Pinspotting to illuminate Wedding Cakes, Dessert Tables, Signage, etc.